Amazing views from this 2BR/2BA, 1,208SF Condo at Mainsail. 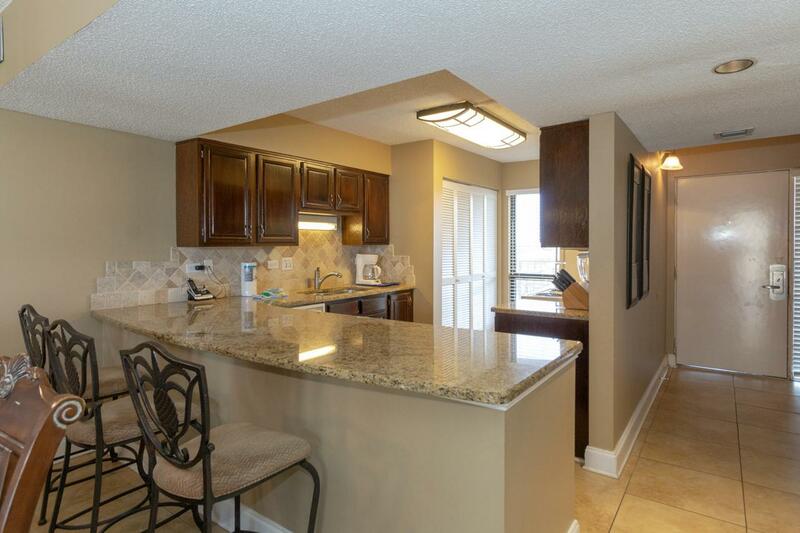 This condo is being sold fully furnished and rental ready. 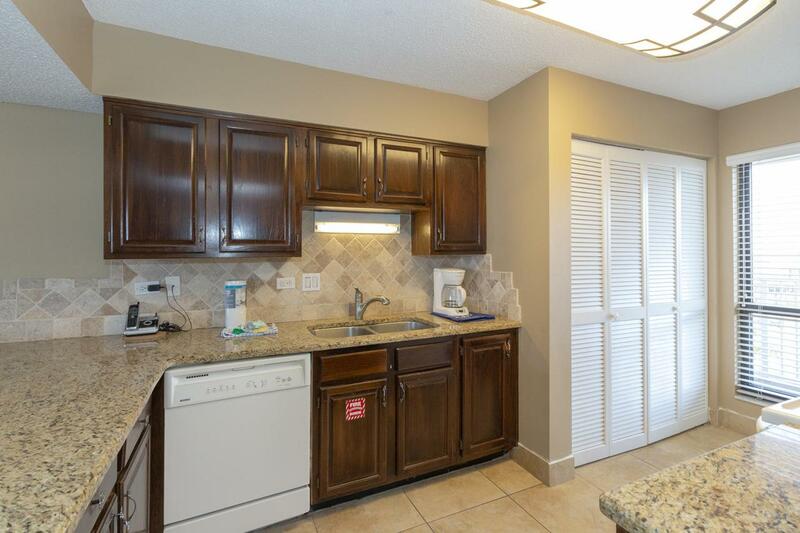 As you enter the condo you are greeted with tile floors throughout. 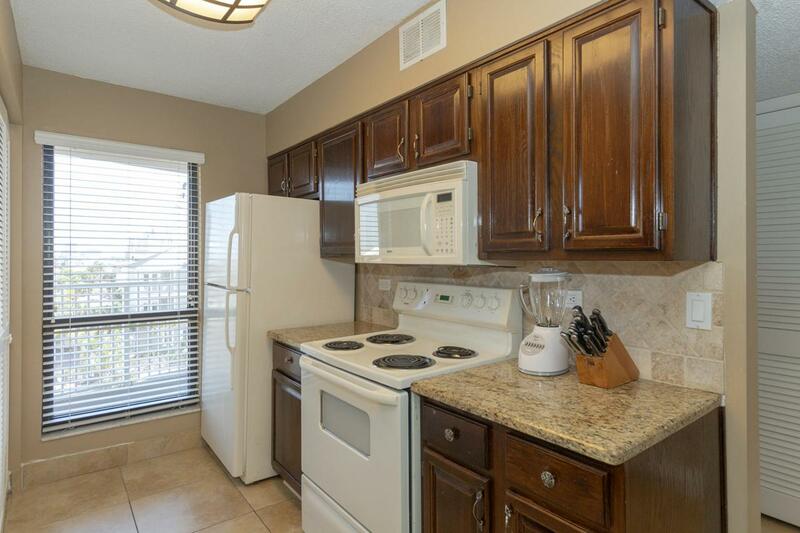 The kitchen features granite countertops, tile backsplash, white appliances, & utility closet with washer/dryer. The living area is large with dining room, mirrored wall, & balcony access. 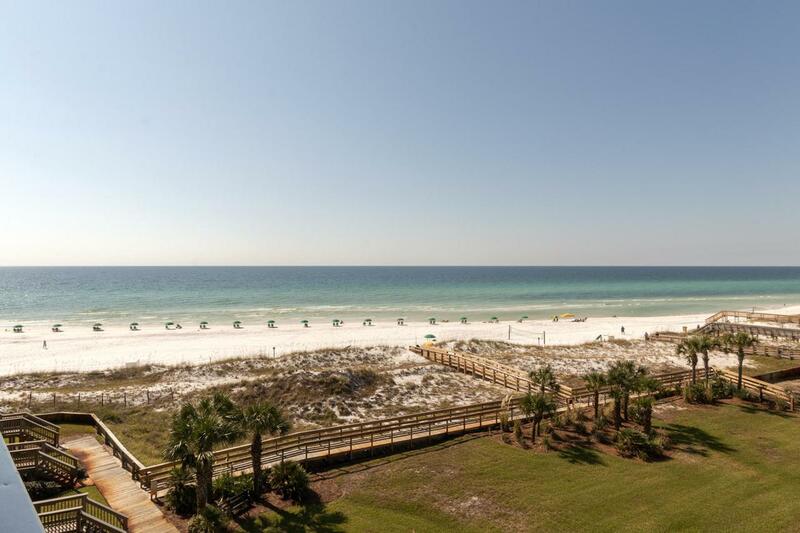 The balcony has beautiful unobstructed gulf & beach views. The master suite features a large bedroom with private access to the balcony, granite countertops, & a tile walk-in shower. Other features include a second bedroom, hallway full bath, & owners closet. Mainsail amenities include 24hr security, 2 large pools, tennis, & 700FT of deeded beach. See you at the Beach!